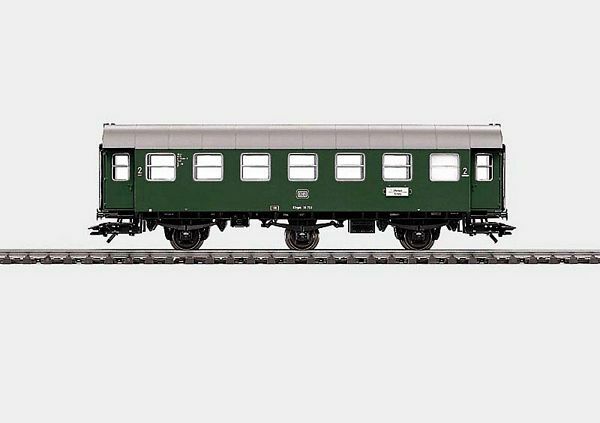 Prototype: German Federal Railroad (DB) rebuilt coach type B3ygeb 761. 2nd class. Model: The car is ready for installation of 7319 current-conducting couplings or 72020 current-conducting couplers. Length over the buffers 15.2 cm / 6. DC wheel set 2 x 700580, 1 x 406240.